The deadline to register the club for the season 18/19 was set for today. 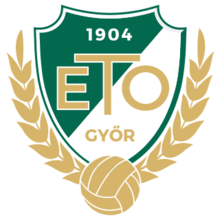 And no, no news at all coming from Gyor as confirmed by Futsal Hungary. Looks like the hungarian champions won't take part in their domestic competition and this includes another big problem regarding the UEFA Futsal Champions League. Many futsal fans were surprised few days ago when former coach Javi Rodriguez announced he was leaving the club, but now we probably know the answer: the glorious story of Raba Eto Futsal Club is gonna end. Each UEFA member association (hereinafter association) may enter the winner of its top domestic futsal league and a second representative team where applicable. Each association must announce the name(s) of its representative(s) to the UEFA administration by 12.00CET on 22 June 2018 and it's hard to believe that point 3.04 (In exceptional circumstances, the runner-up of a domestic futsal league may be entered in place of the winner, subject to UEFA's approval.) can be taken into account right now, once the draw is done.